You’d be forgiven if you’d never heard of Kris Kobach. He’s currently the Secretary of State for Kansas, which has been under Republican control at least since 2010 with the election of Governor Sam Brownback. Now, since Brownback has been appointed to be Ambassador-at-Large for International Religious Freedom, his lieutenant governor, Jeff Colyer, is serving as the state’s governor. Unfortunately, the state has suffered economic ruination under Brownback’s Tea Party-influenced governorship. This year, Kobach is running in Kansas’s gubernatorial race as a replacement for Coyler—and he’s even more conservative. Renowned for his hardline status on immigration, Kobach has spent much of his legal career defending towns that have passed anti-immigration audiences. The problem is that even though Kobach is running largely on his anti-immigrant stance and alleged victories in getting anti-immigrant ordinances on the books, these cases are anything but a victory for the towns that have gotten the Kobach treatment. 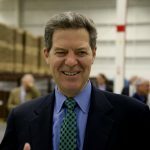 When Sam Brownback was elected governor of Kansas in 2010, he quickly signed into law drastic cuts in income tax rates—one of the largest in the state’s history—on the belief that doing so would bring economic growth to the state. As a result, state revenues fell by hundreds of millions of dollars, and huge budget shortfalls led to cuts in education and transportation. Because he opposed the Affordable Care Act, he refused a $31.5 million grant from the Department of Health and Human Services to expand Medicaid and provide subsidies to low-income people buying health insurance on the state’s exchange. Despite all of this, and despite the fact that many neighboring states had faster-growing economies, Brownback was re-elected in 2014 by a margin of 3.7%. In June of 2017, the Kansas Legislature realized that the “red state experiment” wasn’t going nearly as well as they were told it would, and rolled back Brownback’s tax cuts and enacted tax increases. Take, for example, Valley Park, Missouri. 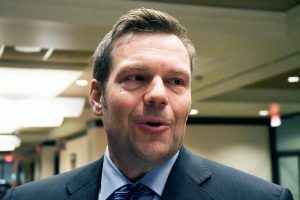 Kobach has bragged about his role in crafting and defending the town’s anti-immigration ordinance. Unfortunately, the residents of Valley Park have a slightly different take on the situation. Kobach helped the town—population 7,000—pass an ordinance that would punish landlords for renting to illegal immigrants and employers for hiring them. But in defending that hardline stance, the town spent two years of litigation and nearly $300,000, only to have the ordinance nearly gutted. Nonetheless, Kobach used his work in Valley Park to sucker other towns into paying for his services, many with similar (and sometimes worse) results. Farmers Branch, Texas, incurred $7 million in legal bills. Hazelton, Pennsylvania, had to take on debt to pay the $1.4 million it spent on legal expenses—which caused the town to beg for a state bailout. And the city of Fremont, Nebraska, had to raise property taxes to pay for Kobach’s services. It looks like the only one benefiting from all of Kobach’s legal shenanigans is Kobach himself. According to records obtained by ProPublica and the Kansas City Star indicate that since 2005, Kobach has made at least $800,000 for his work to craft unnecessary and most likely illegal ordinances. Fremont, Nebraska, has already paid him more than $100,000, and he has a contract with the city for a $10,000 annual retainer—just in case new challenges to the city’s anti-immigration law arise. Kobach also earned nearly $190,000 as a contractor for Farmers Branch—for an ordinance that was never enacted. The city of Hazelton paid Kobach more than $250,000 in fees. So, what do we have? A barely competent attorney who created a bevy of unenforceable (and most likely unconstitutional) ordinances, snookered several small cities out of hundreds of thousands of dollars, and is a hardline anti-immigration advocate. If Kobach’s small-town track record is anything to go by (and it should be), he’s exactly the politician that an already financially struggling Kansas doesn’t need.